Here is a story of a rare kind of pioneer. 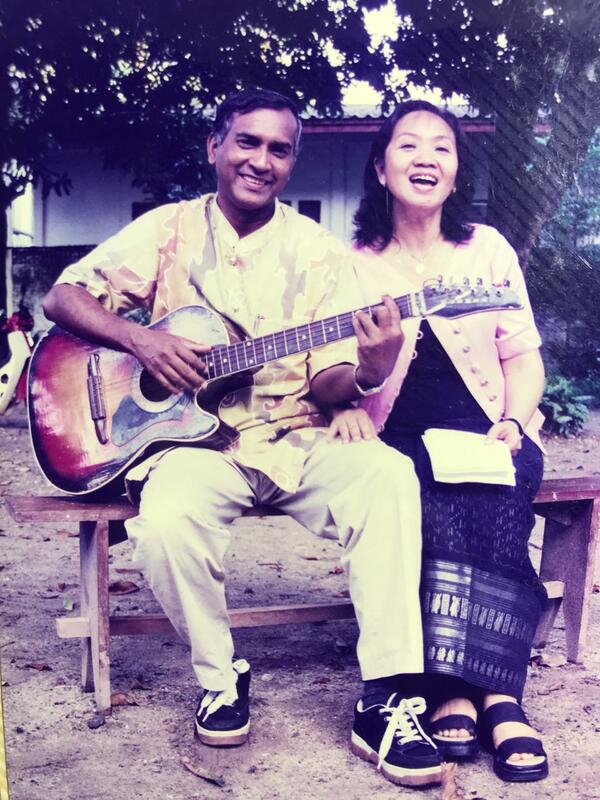 Kannabaran, affectionately known as “Kanna” and one who laid his life in the pioneering field in Lao People’s Democratic Republic (Laos) was very much a lovable believer. He radiated so much love upon all who came across in his life. Kanna’s pioneering life, covering a span of 45 years could easily be said to be one of the most fascinating stories of our own time. This is an attempt to provide in an abridged form, Kanna ’s days of pioneering, with selected anecdotes. 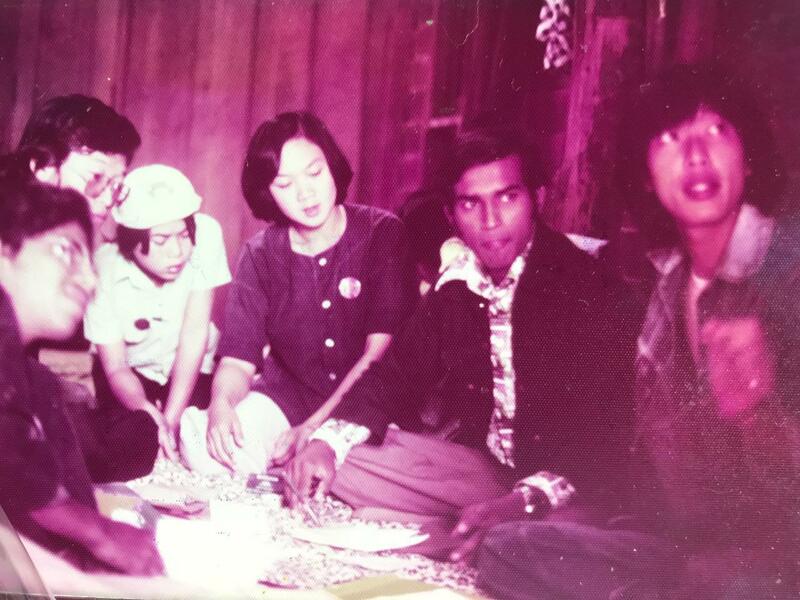 Kanna accepted the Faith in 1970 in the northern town of Butterworth in Malaysia when he was still a student at the Saint Xavier’s Institution in Penang Island. At school, Kanna was a Prefect and excelled in sports and painting. It was through Sergeant Munusamy Nathamuni attached to the Royal Malaysian Air Force in Butterworth that Kanna was brought for firesides. In one of those firesides, Kanna accepted the Faith. 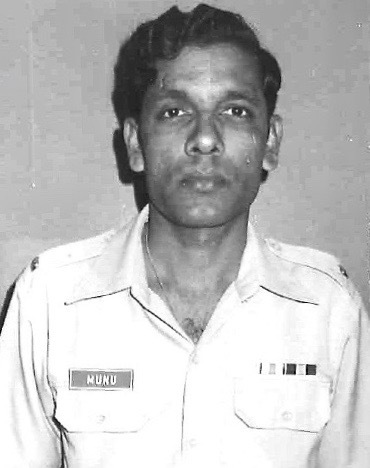 In July 1971 Munusamy got a transfer to Selangor state where he retired as a Major in 1992. As soon as Kanna accepted the Faith he brought several of his friends into the Faith, and soon a very vibrant youth committee was formed in Butterworth. As soon as Kanna accepted the Faith he was on fire with the love of Bahá’u’lláh, and his rise in the Faith was simply meteoric. Even at that tender, Kanna proved to be a spiritual giant, a towering strength and a guide to many youths in Butterworth. Not a day passed without Kanna coming to the Bahá’í for Bahá’í activities. Teaching the Faith became Kanna’s ruling passion, that he rode on a bicycle to near and far away places like Penang Island, Perai and Kepala Batas to teach the Faith, and deepen new believers. Kanna was quick to absorb an acute understanding of the Writings and grasped the urgency to teach the Faith. In Butterworth, Kanna volunteered to be a children class teacher. The Bahá’í children who saw in him a wonderful and loving teacher. 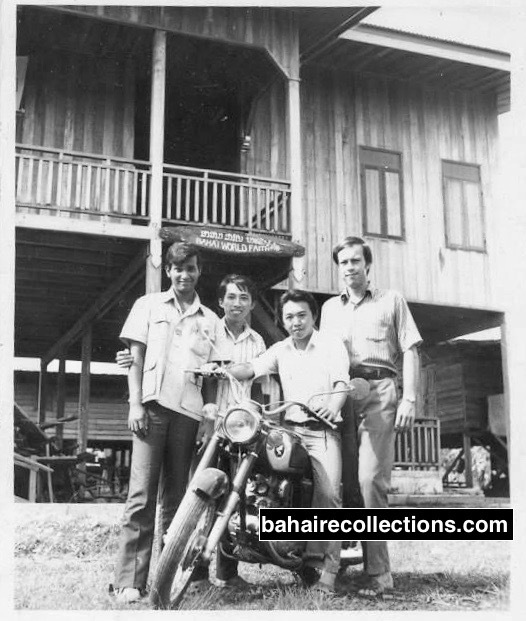 Yet one more of the earliest initiatives of the youths was organizing an inter-state Bahá’í gathering in Butterworth in 1971, that attracted more than 100 Bahá’ís from the states of Penang and Kedah. That turned out to be a gathering of resounding success. 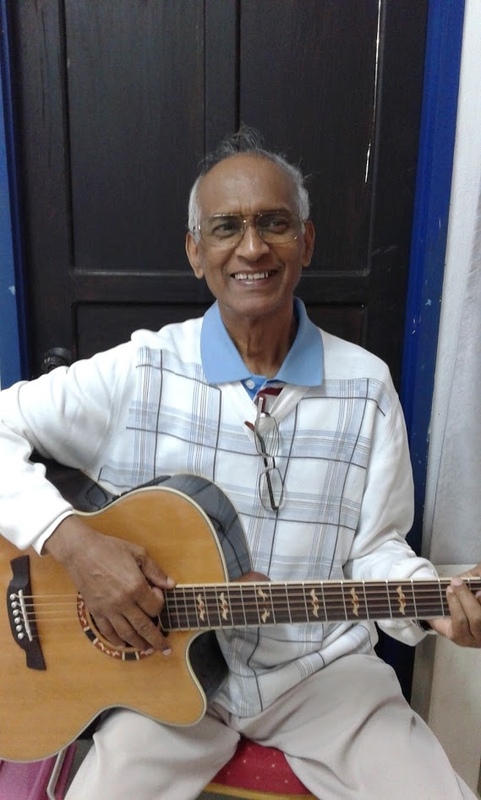 The musically inclined Kanna entertained Bahá’í youth with his favorite Hindi songs and encouraged the formation of Bahá’í Choir. He had a major role to play in this with his strumming the guitar and singing his songs among the vibrant youths of Butterworth. One of the first things that Kanna did as soon as he accepted the Faith was to memorize the Bahá’í Holy Writings and prayers. Kanna had always used his rare photographic mind and talent of memorizing prayers and holy writings and used them during deepening and teaching sessions. When Kanna accepted the Faith, he observed that the town of Nibong Tebal where his grandparents lived was a difficult area for the Faith to penetrate. Several earlier attempts made by the Bahá’ís of Penang island as well as those from the state of Perak located south to Nibong Tebal could not bring in the desired results. Kanna took it as his personal goal to establish the Faith there and settled as a home front pioneer in 1971, staying in his grandparent’s home. Yet he kept commuting to Butterworth town where his parents lived for Bahá’í activities in this community. Nibong Tebal soon appeared on the landmark of Malaysian Bahá’í history. In no time Kanna created history by focussing his entire energy in laying a strong foundation for the Faith there. Through his committed and constant teaching activities and concerted efforts, some thirty-four enquirers came for a fireside, and almost everyone accepted the Faith. Immediately a Youth Committee was formed which proved to be active under the able stewardship of Kanna. Achievement followed achievement when in Ridvan 1971 an Assembly was elected as well. This was seen as a great achievement for the Faith in Malaysia, at a time when the national institution was bracing to establish assemblies nationwide. Soon Kanna’s active involvement in the Faith was noised throughout Nibong Tebal and this naturally came to the ears of Mr. Ramasamy, his strict grandfather, who, as a strong Hindu chased Kanna out of his house. When Kanna returned later, Ramasamy chained up Kanna. Kanna had to explain the Faith to him, that brought about a change in the heart of his grandfather. The tension was mitigated, and restrictions relaxed. Several years later when Kanna was in the pioneering field in Laos, Ramasamy accepted the Faith, followed by Kanna’s grandmother Ellakkannu. A real turning point in the Bahá’í life of Kanna came when he attended a Bahá’í Summer School in Penang Island in July 1972. He brought along the new Bahá’ís of Nibong Tebal to the Summer School, and through the vibrant spiritual atmosphere at this summer school, the new believers became more confirmed in the Faith. At this summer school, Kanna was moved when he heard some inspiring pioneering stories from Counselor Firaydun Mithaq, who himself was a pioneer in Laos. The stories of sacrifice and challenges in the pioneering field affected Kanna’s soul. At the end of the talk, Kanna approached Firaydun and offered to pioneer to Laos. Firaydun made it clear that Kanna had to get his parental consent. That was the time when Kanna had just completed his studies. Any youth at his age would be looking out for a stable job to establish himself. But here was Kanna who placed the needs of the Faith above his own interest. Kanna was the only declared believer and eldest among the boys in his family. Kanna knew it would be an uphill battle to convince his parents to allow him to pioneer to Laos. The Summer School of July 1972 in Penang. Therefore after the summer school, Kanna took Firaydun and his wife Giti to meet his parents in Butterworth town. 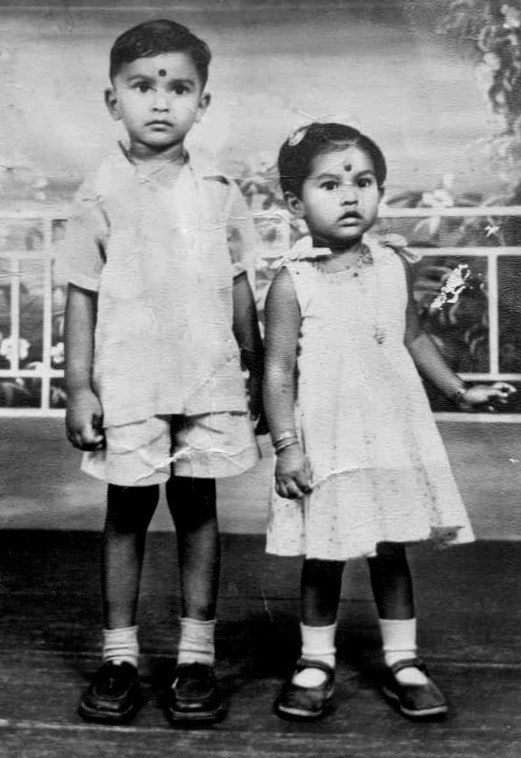 Firaydun and Giti stayed a night at the home of Kanna’s parents in Butterworth. When Firaydun opened the subject of Kanna offering to pioneer, his parents first expressed displeasure. Kanna was the eldest among the seven siblings, and the parents expected him to lead the way for the youngsters. But with the convincing explanations given by Firaydun, they finally gave their consent, that too reluctantly. They though Kanna would be away for a few months. Kanna was jumping with joy. Next, Kanna was the on the same train to Laos with Firaydun and Giti. Kanna was only 19 years when he pioneered to Laos. Kanna’s ambition was to become a Police Officer, but that was irrevocably reversed with Kanna now setting out on his Creator’s Special Service. Kanna knew that he had accepted a field of service that needed an immense sacrifice. As expected, unimaginable shocks awaited Kanna in the pioneering field. When Kanna arrived in his pioneering post in Laos, he went through untold difficulties, especially in the wake of with no livelihood, employment and on top of all, lack of knowledge of the local language to communicate with them to teach the Faith. His only weapon was resorting to tapping the power of divine assistance. One month after arriving in Laos, a teaching and reflection gathering was organized in a centrally located village in Vientiane province. A good number of believers from five surrounding village communities were coming for that full day meeting to discuss and plan activities. Kanna went to the venue three days in advance to make preparations. There Kanna used a few Laotian words that he had learnt and taught a simple Baha’i song to children. He was able to win over the hearts of the children with his usual warmth of smile and radiance of heart. When the meeting was over, the children were not willing to let him leave. Kanna was moved and decided to stay on with them. But when Firaydun returned to the village and met Kanna after three days, Kanna burst into tears lamenting that those three days were the hardest days of his life. With a dampened spirit Kanna cried, “It is hard to eat strange foods I am not used to, and it is hard to sleep as the mosquitos kept feasting on my body, and worst of all I am not able to teach the Faith as I do not know the local language.” Firaydun consoled Kanna by recalling how he himself had suffered in the initial days of pioneering and assured him of the unfailing help promised in the Writings. Yet Kanna had inner happiness that he was suffering for the love of Bahá’u’lláh. He resorted to several days of prayers, beseeching Bahá’u’lláh to give him the needed strength, energy and guidance to root himself in Laos and bury his bones with his boots on as a pioneer. Bahá’u’lláh did answer Kanna’s prayers. While adjusting to the local situation, Kanna was joined by another pioneer Mr. Faramarz, who is a brother of Firaydun. His arrival brought mutual benefits for both of them. Kanna knew English but not Persian. Faramarz knew Persian but not English. They came to an understanding. Through Faramarz, Kanna picked up the Persian language, in exchange for the English lessons that Kanna gave Faramarz. But they both did not speak the local language well. In the mornings the two went out together visiting people in the market place. They tried conveying the Bahá’í Message to them with the few rudimentary Laotian words they had memorized. Where they found it difficult to elaborate further they would look out for Firaydun to help out. One day Kanna and Faramarz met Mr. Maha Buasi, a learned Buddhist scholar who just escaped the guerrilla warfare in the Xing Quang province. When they introduced the Faith to Maha Buasi, he said that he had briefly heard about the Baha’i Faith through a friend, and wanted to know more. Since Kanna and Faramarz were not well conversant in the Lao language, they invited Maha Buasi to the house of Firaydun to get detailed information on the Faith. After much discussions, Maha Buasi declared his belief in Baha’u’llah. Buasi immediately began teaching the Faith among the thousands of his fellow refugees. That was the time when the small towns and villages in Laos were experiencing mass teaching and witnessing entry by troops. The excited Maha Buasi, along with Kanna, Firaydun, Faramarz, Bijan Beyzayee, Faiz Yaganegi, Paul Antipolo from the Philippines, Len Beng Liew from Malaysia, and the local believers also busily involved in this enterprise. With the aggressive teaching activities, the number of believers in 1974 reached approximately one hundred thousand, in which victory. 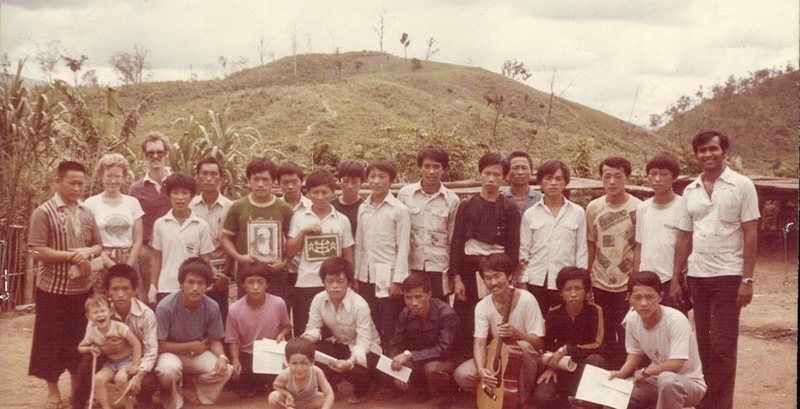 In the initial stages Counselor Firaydun took Kanna to various parts of Laos, introducing him to the local communities and exposing to local culture. It was not too long before Kanna had mastered the art of successful pioneering by quickly learning the local language, living economically and spending only for his basic needs. It was not too long before this same Kanna became the favorite son of the soil and came to be loved and admired by a wide spectrum of children, youth, adults, elders as well as individuals. A few months after his arrival in Laos, Kanna was already at the forefront of activities when he had to return to Butterworth on a family matter. This time around, the parents pressed Kanna to stay back as they were missing him dearly. Kanna was torn between staying back and discharging his spiritual duties in Laos where he had committed and initiated several projects and activities. It was a very painful and rather stressing moment for Kanna. After days of tearful prayers, Kanna explained his burning desire to serve the Cause and returned to Laos. A close friend of Kanna requested him to consider staying on in Malaysia, and Kanna is reported to have said that pioneering was already deep in his vein and that the “fait accompli” was already carved in stone. However, he kept communicating with his family until his last days and prayed for their well being. As and when his parents and grandparents passed away he kept flying back for their funerals. In March 1974, barely before completion of two years in the pioneering field, Kanna was appointed Auxiliary Board Member for Protection. When friends congratulated him on this appointment he very candidly replied that it was not a life-long appointment but was only placed in a different capacity to offer a different kind of service for the Cause. He added further that the only permanent position he had taken upon himself was teaching the Faith. By this time Kanna had won the boundless love of the youth, children and the adults. Kanna organized many classes and gatherings for several groups and villages in the country. Kanna was able to serve effectively on national committees and travel throughout the country with better ease and comfort. As he started to move across the country Kanna started to use his God-given talents as a multi-talented and multifaceted pioneer to promote the Cause. He composed and taught Baha’i songs in the Laotian language. He was good at oil painting as well. He developed several teaching albums, posters and other visual aids which to this day are widely used throughout Laos. The reverence that Kanna showed for elders in the Faith was much adorable and equally admirable. Hand of the Cause of God Dr. Muhajir started to take a great liking for Kanna from the very beginning. 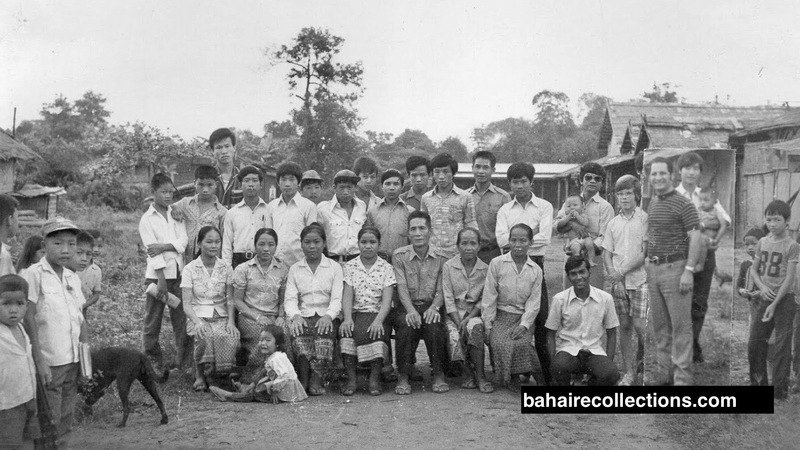 In the summer of 1974, Dr. Muhajir arrived in Laos and expressed his desire to visit the believers in the refugee camp situated in the interiors of Ban Nam-Pod in Viang-kham, some 70 kilometers away. Faiz Yaganegi gladly offered to drive his pick-up for that rough and bumpy journey. Kanna also joined them. Dr. Muhajir sat next to Yaganegi on the front seat. Firaydun requested Kanna to get seated beside Dr. Muhajir in the front seat. But Kanna totally refused and insisted Firaydun occupying that seat, while Kanna wanted to sit on the back seat. As Kanna and Firaydun were arguing about this, Dr. Muhajir interjected saying, “How long are you going to argue? It is almost noon. Let us go.” Finally, Firaydun was seated next to Dr. Muhajir while Kanna sat on the hard seat at the back. The back portion of the vehicle was not sheltered by roof or side panels. By the time they arrived in Nam-Pod, Kanna was covered in a thick layer of red dust, beyond recognition. Dr. Muhajir, Firaydun and Yaganegi laughed off when all they could see was the white teeth of Kanna when he was grinning away. Kanna had turned into a kind of “Red Indian.” Kanna often recalled that particular trip to Nam-Pod village with Dr. Muhajir as the most memorable experience in his earthly life. It was on this same trip that Dr. Muhajir himself had fathomed the sincerity of Kanna in serving the Cause. Dr. Muhajir had always loved Kanna for his unquestioned obedience and the love he had for the Faith. Dr. Muhajir knew the talents and abilities of Kanna that he would devise several plans for Kanna, which he carried out with diligence. On some of his later visits, Dr. Muhajir had taken Kanna along with him for teaching in the interiors in Laos. 1974-Viang kham Mass Teaching area. Dr. Muhajir is in the back row. Kanna Baran is towards the right. Faiz Yaganegi in centre. By April 1975 when the Faith experienced an unprecedented expansion in Laos, another unexpected incident happened. The country witnessed an internal revolution that led to a sudden change of government. The new government banned all social and religious activities for the next 15 years. That affected the Baha’i activities as well. This sudden change of fortune forced the believers and thousands of local Laotians to escape and seek shelter in the refugee camps in the neighboring country of Thailand. Several Laotians managed to migrate overseas. With a broken heart, Kanna moved into the city of Yasothon in the northeast of Thailand. But the consolation was that Kanna was able to find some areas of activities. There Kanna’s activities involved in building Baha’i communities through deepening sessions and in teaching the Faith in the refugee camps of the Laotian people. In Thailand too Kanna brought rich victories for the Cause. With efforts of Kanna and other believers, in one refugee camp near Uborn city, the Bahá’í refugees themselves built a temporary Baha’i Center for their activities. Kanna at extreme right at a refugee camp in Thailand. Kanna was once staying with a fellow believer in the Bahá’í Center in Yasothon area in Thailand. One day they had nothing to eat for breakfast. Kanna invited his roommate for lunch at a modest stall. As they walked towards the stall they saw an old believer from a faraway village. After chatting with him, Kanna invited him for a lunch in a restaurant, no more in a stall. Kanna’s pocket had sufficient money for his roommate and himself for eating something light in a local stall. This limited money in Kanna’s pocket was not known to his roommate. Since an unexpected guest was taken along, Kanna decided for a decent restaurant. At the restaurant, Kanna ordered two plates of rice and curry for his roommate and the guest. Kanna refrained from eating, saying he had just developed some stomach complications, and did not feel like having any food. The roommate was not convinced. After lunch, the guest left while Kanna and his roommate returned to the Bahá’í center. Upon reaching the Bahá’í Centre, the suspecting roommate of Kanna exploded as to why he had skipped both breakfast and lunch. It was only then that Kanna informed his roommate he had sufficient money for only two people. Kanna then said, “At times when we have to forego some comfort, we can always tap on our inner strength. I had just used that strength to overcome my own hunger.” That was just one of the many instances when Kanna had expended his money on others than himself. 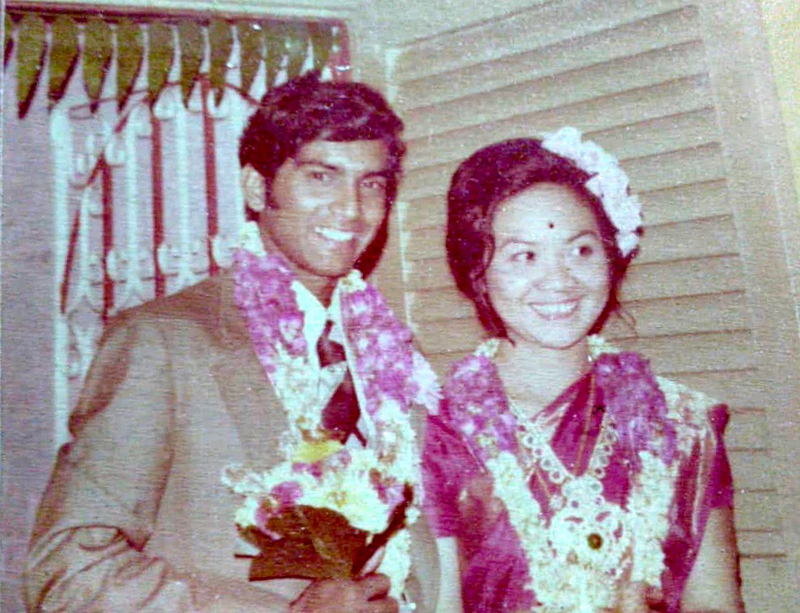 In April 1977, Kanna came back to Malaysia to renew his international passport and visit his parents. As Kanna was seated on the plane on his return flight from Kuala Lumpur to Bangkok, he was surprised to see Hand of the Cause of God Dr. Muhajir coming over to sit next to him in economy class. 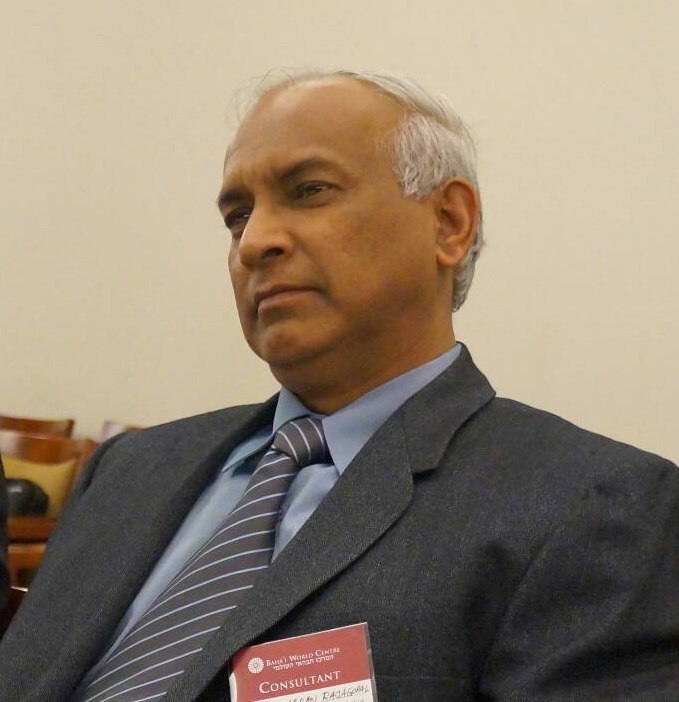 Dr. Muhajir was returning to Bangkok after meeting the National Assembly of Malaysia. Both Dr. Muhajir and Kanna then spoke in Persian, as Kanna was already quite fluent in Persian language thanks to Faramarz. Kanna was expecting Dr. Muhajir to fly in business class and pulled up his guts and ask him why Dr. Muhajir was flying in economy class. Dr. Muhajir explained he had to rush to Bangkok and the only seat available was in the economy class. He further said that he was not too particular of which class he flew. In the course of the conversation, Kanna confided in Dr. Muhajir two great concerns of his parents. Kanna told him that his parents were unhappy that Kanna was not having a proper job, and that he was still unmarried. Muhajir’s strong advice to Kanna was to put his full reliance on Bahá’u’lláh and move on in life. As for the career, Dr. Muhajir said, “Look Kanna, these are the days of service and we are entrusted by Bahá’u’lláh to lay the foundation to save the world. This opportunity will never befall upon everyone, but you have been chosen. Think about that. I am a medical doctor, but my full-time job is to serve the Faith. I suggest you consider making teaching the Faith your full-time job. Your parents may not understand your station as a pioneer, but the time will come when Bahá’u’lláh will surely open their eyes to what you are doing.” On the second concern of their parents, Dr. Muhajir continued, “As for your marriage, I have a suggestion. Now that you are in the teaching field pray hard and sincerely for Bahá’u’lláh to guide you to a bride of His choice. After that approach, any girl that you have a liking for, and Bahá’u’lláh will surely bless your affairs.” Having given that advice, Dr. Muhajir also requested Kanna to learn as many languages as possible to empower him to teach the Faith to a wider circle of people. By 1977 Kanna was already able to speak in Persian, Chinese, Laotian, Malay, English, Tamil, and Thai. 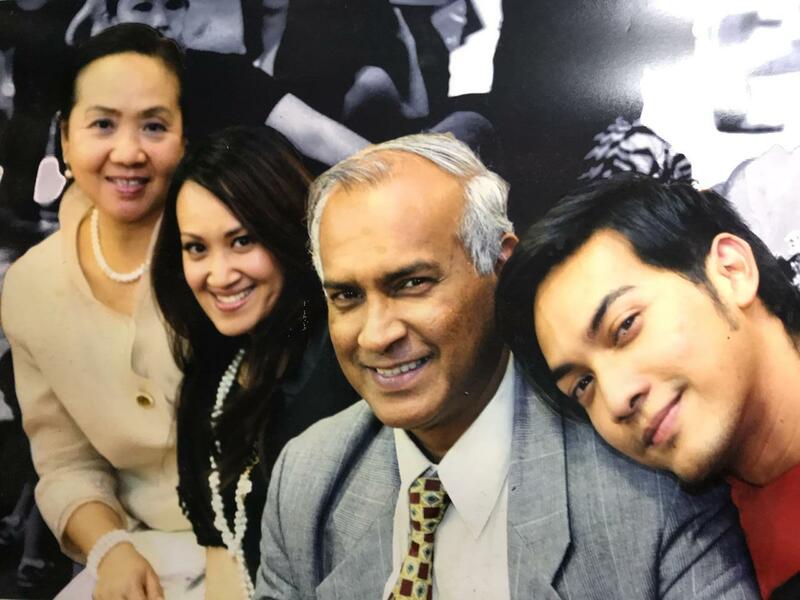 In retrospect, when Seargent Munusamy was courting Theresa who was working as a clinical nurse in Dr. Sreenivasan’s Chaygin Clinic, it was Kanna who went along with Munusamy to meet the parents of Theresa to talk about marriage. Kanna was able to speak very fluent Hokkien dialect of the Chinese language. Munusamy had expected “fireworks” but with the fluency with which Kanna spoke Hokkien, the consent was obtained within three or four visits. Inter-marriage was still a kind of taboo in those days. To this day Munusamy remembers this pivotal role of Kanna, whom he guided into the Faith. The plane touched down in Bangkok airport and both went to a hotel for spending that night. Dr. Muhajir booked a large room and requested Kanna to stay in his room for the night. Kanna felt very honored. That night Dr. Muhajir spent long hours talking about the manifold work that has to be done for the Cause and gave some advice on how to be successful in the field. Past midnight Kanna slept off, while Dr. Muhajir started to say his prayers. In the morning they checked out and went for a teaching Conference in Bangkok city. Days passed and Kanna went for a teaching conference in the town of Chiengmai in the northern part of Thailand. There Kanna’s eyes fell on a beautiful Miss Chansay, a Thai Bahá’í, and his heart throbbed. Kanna’s thoughts spontaneously drifted to the advice that Dr. Muhajir gave him while on the flight from Kuala Lumpur to Bangkok. Although Kanna took an immediate liking for Chansay he wanted to be very sure of himself and his steps. He said some prayers in his heart and introduced himself. Chansay responded casually, not knowing the pulsation that was running within the soul of Kanna. Soon they got to know each other. It did not take long before they decided to get married. One day Kanna rang up his parents in Butterworth and broke the news that he had found a Thai girl for marriage. Respecting Kanna’s wishes his parents gave the consent on the phone and asked him to come down with Chansay. Kanna and Chansay came down. Kanna introduced Chansay to his family who took a great liking for Chansay. Chansay was accommodated in the house of a relative. The assembly of Butterworth and Kanna’s close friends swung into action, and a beautiful Bahá’í marriage ceremony was held in Butterworth. The family members were happy to see Chansay dressed up in Indian saree and follow some customary requirements. After a week, they flew back to Thailand to start their own family. Kanna and Chansay teamed up as one soul in different bodies to serve the Cause. They on many occasions used music to promote the Cause. This marriage produced two choicest fruits- Santi a boy and Rezwan, a girl. Kanna teamed up with Chansay and created a true Bahá’í atmosphere in their home and brought up their children the Bahá’í way. They devoted much time to instill Bahai virtues in them by telling them Bahai stories almost daily at the dinner table. They made sure his children were spiritually nurtured. They taught their children to trust in God in everything they did. Prayer was made part of their family ritual. and service to the Faith was at the center of their lives. Every lesson or virtues their children ever learned was taught by their examples. Their home became everyone’s home, offering plenty of warm hospitality. Yet at different times, sufferings and sacrifice seemed to have been part and parcel of this family, moving from village to village, city to city and country to country, often finding it difficult to adjust to local situations and culture. In the 1990s another development took place. On the request of the Supreme Body, Kanna’s family relocated from Thailand into Laos and settled in Vientiane. Kanna started to face multiple problems, chiefly financial strains. Kanna had to leave his family in Vientiane and accept some service projects in the northern mountainous jungles in Xing Qwang- for a meager income. In that prevailing circumstance, Kanna had to accept whatever was paid to him. Chansay was holding the fort with all her strength whenever her husband was away. During this period Kanna’s family contented with minimum necessities of life. Difficult as circumstances were, the couple still provided the best education for their two children. They enrolled them in the best available foreign schools in Vientiane, which came with a heavy cost of depleting almost all the savings they had for their rainy days. This was a stressful period in Kanna’s life. Days were spent in ardent prayers, and Bahá’u’lláh the God of Infinite Mercy did not fail them. That was the time when Kanna slowly acquainting himself with a number of expatriates who were working with various United Nations Department Programs in Vientiane. These contacts led Kanna to get employed with the United Nations and undertake short and long terms UN-related project assignments, which he carried out with distinction. He was also actively involved in the International Red Cross which took him places. With such involvements, Kanna became a well-recognized Bahá’í in top government and private circles in Laos, and the Faith naturally got exposed in the higher echelons. With this stable income, Kanna was able to send his daughter Rezwan to Brisbane university in Australia and son Santi to the Assumption university in Thailand. When Kanna was financially on a better footing, he was not absorbed by the quicksand of materialism. He seldom bought new dresses except very few that he wore for important public functions. Whenever his friends presented him with branded and luxurious pieces of clothing, he would pass them to those needy. With the new found income, Kanna gave much for the Faith. There was a time when Kanna was treasurer of the National Spiritual Assembly, the national institution had approved several projects that needed money. But when funds were not flowing in from the community, Kanna would avail his own money lest the projects suffer halt or delay. However much Kanna had wanted to keep this gesture suppressed, it was through the glimmering light afforded us through a few of his closest friends that this gesture of Kanna came to the open. In one of the trips to outstation Kanna, as the program coordinator invited Firaydun to join him. Kanna phoned and booked two air-conditioned rooms in a decent hotel in that town. As they were about to start their journey, four youths that had learned about their teaching trip rushed without prior notice and showed keen enthusiasm in accompanying them. Kanna welcomed them with a warm smile. Kanna called the hotel to convert the two air-conditioned rooms into four rooms with fan cooling system. The trip was undertaken with success. Kanna undertook footing the entire expenses for that trip. It was such generosity of Kanna that ripened into a strong virtue in him. Although based in Laos, Kanna also traveled in other parts of Indo-China. 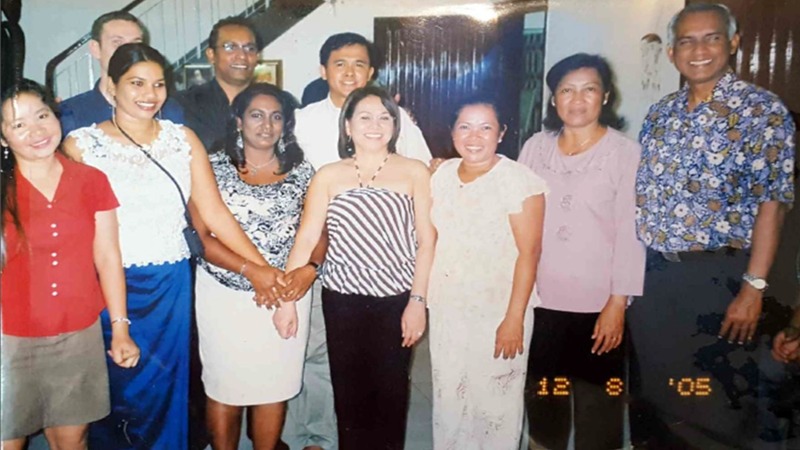 In 2003 Kanna was one of them who organized a Cambodian Bahá’í festival at Psar Leur Bahá’í Center in Battambang, attracting more than 1,000 children, and earning high praise from government officials, including the Director of Education Department in Battambang. At this event, the children presented stories about Abdul-Baha, recited quotations from the Bahá’í Writings, made drawings and displayed their art, performed traditional Khmer music and dance, and played games together. This event received worldwide publicity. One of the happiest moments for Kanna was undertaking several trips to the Holy Land. In 2009 he went for pilgrimage with Chansay. 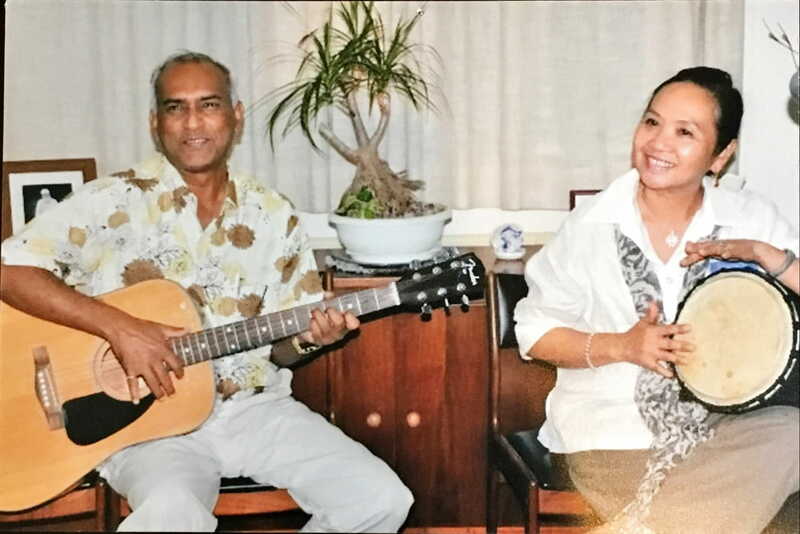 During the social evenings, Kanna and his wife were back to use their talents – entertaining with songs. Both Kanna and Chansay worked as one team in every sphere of Bahai activities. To a large extent, the believers and the community in Laos saw them as exemplary models to lead a Bahá’í family life. Many youths went to this couple for advice and guidance. When Chansay was appointed as representative of the Board of Huququ’lláh for Laos, Kanna used to give her his fullest support. In many instances, he was with her at Huququ’lláh conferences in the South East Asian countries, to at times help out in translation works. 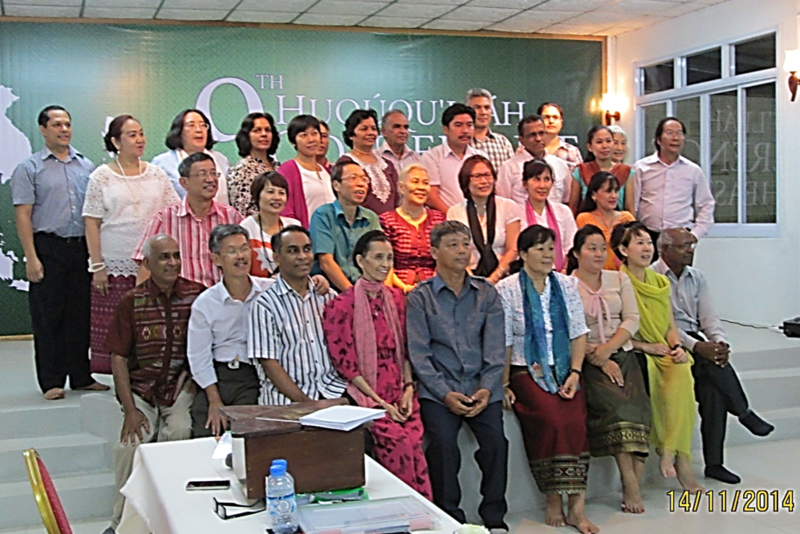 Deputies and Representatives of the Board of Trustees of Huqúqu’lláh at the Ninth Huqúqu’lláh Conference for South East Asia held in Vientiane, 2014. Kanna is seated at extreme left, with Chansay standing second from left. While serving in Laos in various capacities Kanna had visited believers and communities in countries such as Thailand, Myanmar, Philippines, Singapore, Indonesia, Vietnam, Brazil, Switzerland, and the Holy Land. The friends in all these places still have the fondest memory of Kanna for the impactful traces of love that he had left behind. His last visit to Malaysia was in December 2014, when he visited his parents and friends. 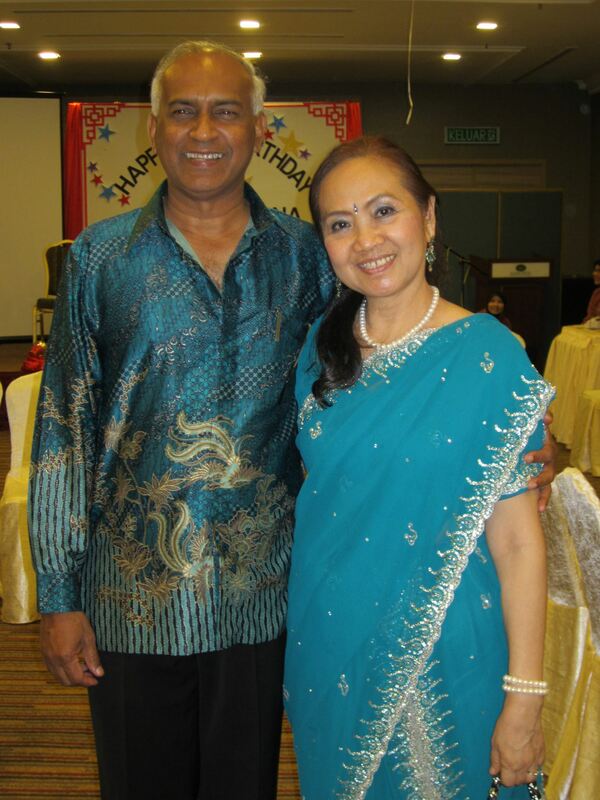 Kanna’s 60th birthday celebrations organized by his family in Malaysia. Kanna’s last one year was very hectic. It was overwork, exhaustion, and lack of sufficient rest that led to his heart ailments and finally knocked him down. Kanna was a very hard-working person, working from 7 in the morning to past 10 at night- mainly for the Cause. Working a total of 15 hours per day became a rule rather than an exception. He was entrusted with so many heavy duties and responsibilities in his various capacities – as a member of the National Spiritual Assembly, promoter of public relations activities, and organizer of Bahá’í celebrations and several other Bahá’í functions. Kanna had a tight schedule visiting several communities in the provinces and villages. Above all he was a full-time lecturer, teaching management courses at a college, apart from working as a Director at Unity School of Management and Education and conducting trainings at a number of governmental organizations in Laos and in Thailand. Kanna was an associate member of the Bahá’í International Community of the Bahá’í World Center, representing Laos, Cambodia, Thailand, and Indonesia to which countries he had to fly often. All these rolled onto him took a heavy toll on his health. Physically Kanna was simply worn out. Firaydun who had seen Kanna working endlessly advised him to go slower, as the Faith needed him for many more years to come. Kanna calmly said, “I have no other choice but to work harder than before, as I cannot run from responsibilities placed on my shoulder. I cannot disappoint the trust placed in me. I have to work till my last breath.” It was physically that Kanna was worn apart, but mentally and physically this giant displayed indomitable strength. One night Kanna felt a sharp pain in his chest and Kanna was rushed to neighboring Thailand, which had better medical doctors and modern medical facilities, where he underwent heart bypass, clearing some blocks. A few more blocks that remained could only be removed after a lapse of a year. Kanna recovered slowly and was brought back to Laos. The one firm advice of the doctors was for Kanna to rest well. Back in Laos Kanna kept working at a slower pace, submissively obeying the dictates of ill health that was imposing upon him in greater degrees. Most unexpectedly and quite fast, Kanna experienced severe pain in his chest for the second time. He was again rushed to Bangkok where he underwent a major heart surgery that kept him in bed for over three months. Doctors informed the family that his heart was not functioning more than 40 percent. Kanna returned to Vientiane, and retired from work, but did never resist involving in Baha’i activities. He spent the last two months fully immersed in the Bahá’í Writings. The last material he read before collapsing was the letter from the Supreme Body dated 29 December 2015. Kanna’s last activity was attending a youth gathering in Vientiane where he participated in his usual sing-along session. He was drumming away and seen to be very happy and joyful as never before. Upon reaching home Kanna felt extremely tired and exhausted. For the third time, Kanna was rushed to Udorn Thani hospital in Thailand. This time Kanna was also diagnosed with a lung infection and kidney failure, and the doctors could not help much. After a battle of nine months fighting for life, his radiant soul surrendered to the call of its Creator and winged its flight to the Abha Kingdom on 17 March 2016. His body was washed at the hospital itself, shrouded in silk cloth, placed in a dignified wooden coffin, and transported back to Laos and placed in the Baha’i Center in Vientiane. News spread across Laos and abroad instantly from the time of his passing. Friends rushed to the Bahá’í Center in Vientiane and joined in the prayer vigil. Wreaths and messages of condolence poured in continuously from several institutions and individuals from Laos and abroad. The Malaysian National Assembly that had given birth to such an illustrious servant sent a special wreath. 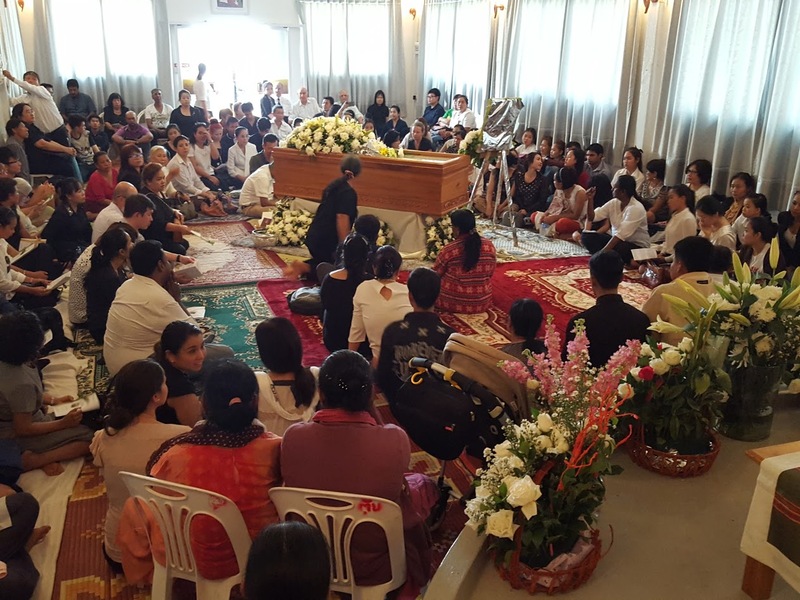 Following a dignified funeral service, Kanna’s earthly remains were laid to rest at the Vientiane Baha’i cemetery on the evening of the auspicious day of Naw Ruz. Thus, Kanna’s weighty, meaningful and colorful life of many achievements and successes came to an end, plunging into sorrow his family, relatives, and countless friends across the globe. Throughout his life, Kanna never missed any of the Bahá’í meetings, however unwell he was. But when he passed away the entire community of Laos felt a sudden vacuum, that to this day, remains unfilled. Kumaran, a close friend of Kanna from Butterworth attended the funeral service. 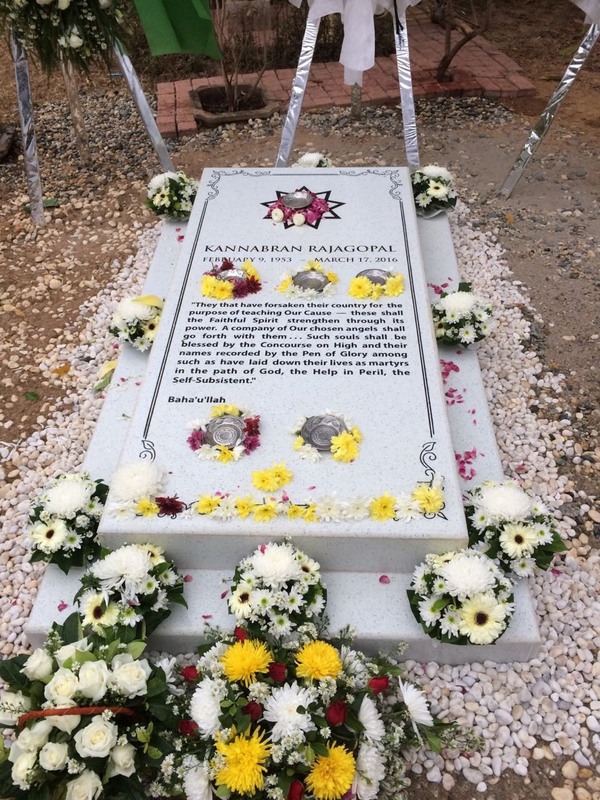 Although Kumaran was himself deeply immersed in sorrow, what he could not comprehend that easily was to witness for himself the extent to which Kanna had sunk so deeply and permanently in the hearts of the masses in Laos, who were uncontrollably sobbing away. Kanna has certainly etched for himself a special place in the history of the Faith in Laos. Kanna’s distinguished services and contribution to this glorious Cause of God in manifold spheres, amongst others, as a valiant teacher, profound deepener, excellent advisor and member of the Local Spiritual Assembly and National Spiritual Assembly, as well as member of the Auxiliary Board. His services in these areas were praiseworthily commended by the Universal House of Justice, the Board of Counsellors and believers at large at different phases of his pioneering life. Kanna was a great pioneer in the field, and under the roof, he was a loving husband, caring father, respectful father in law and lovable grandfather. Kanna tried to live the Bahá’í way of life to the fullest, both in his private and public life. All his life Kanna did not exhibit any sign of ego or superiority complex, loathing, prominence, and backbiting. He never harbored any ill feelings towards anyone and delighted in going out of his way to show acts of kindness to all. The Faith was everything for Kanna, who made Bahá’u’lláh the very center of his very existence. Kanna was a down to earth and smiling person, full of love, kindness, devotion, perseverance, sacrifice, and detachment. Whenever Kanna was alone he was more often than not in a meditative spirit. His company simply enhanced one’s spirit with his warm smile, humor, guitar, and songs. The genuine love he radiated was contagious. His radiant smile and most loving nature shall ever remain a trademark of dear Kanna. Volumes could be written about this illustrious believer whose 45 years of full dedication to the Faith shall always be a shining example for us to reflect upon and emulate. His life of sacrifice evidently shows that this star servant had loved the Faith more than his own life. Kanna certainly had a more than life-size presence in the pioneering field. Kanna’s rare virtues, exemplary deeds and unrestrained services in the field, coupled with his unshakable faith and love for Bahá’u’lláh seem to mark him out a rare kind of pioneer. Kanna buried his bones in the pioneering field, as desired. of Justice at the Sacred Threshold for the progress of his noble soul throughout the realms of God. loved ones may find peace and tranquillity at this time of loss.